The console will have 2x USB 3.0 ports at the front of the console, and a AUX port on the back. The latter will be used by the PlayStation Camera. 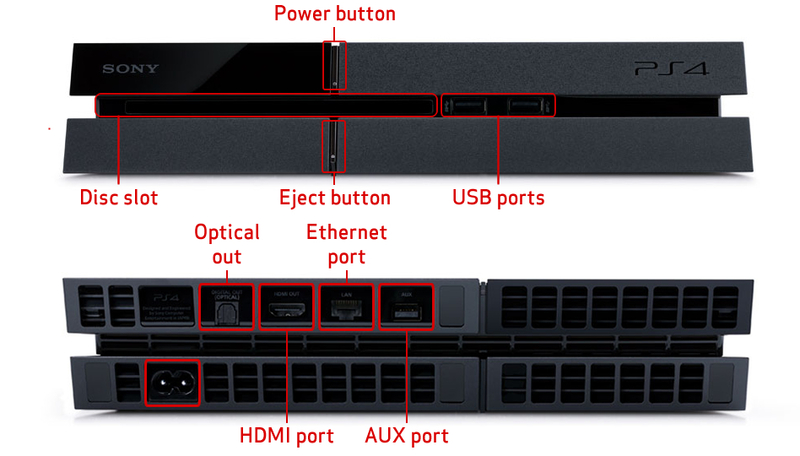 The PS4 drops the old component / AV port found on the PS3. So you’ll only be able to use the HDMI port which will have HDCP to block external recorders from capturing footage from the console.